If you’re engaged and already in the planning stages of your wedding, you might be wondering whether you really need to set up a wedding registry. Without a doubt, a professional wedding planner in Northwest Indiana will strongly recommend that an engaged couple set up at least one wedding registry. Here are some of the reasons why. Deciding to not create a wedding registry will not stop your loved ones from buying you and your significant other a wedding gift. All it will do, in most cases, is force your guests to guess what you might like as a wedding present. Not registering can also put your family and friends at a loss when they want to get gifts for your engagement party or bridal shower. Ultimately, in the absence of a wedding registry, some guests will simply give you money, while others are likely to buy whatever they think is nice and thoughtful. If you are not registered anywhere, chances are you will receive things you do not want—because, again, not creating a wedding registry will not stop your guests from bringing or sending you a gift. You could also end up with items you do not have space for. In the end, your choices are to keep the gifts, re-gift or donate them or return unwanted gifts to exchange them for something else. The problem with that last option is that most guests won’t provide a gift receipt, and you probably can’t return it without one if you didn’t register where the purchase was made. Traditionally, engaged couples use wedding registries to sign up for new household items like dishes, cutlery, pots and pans, small appliances and linens. However, wedding registries these days can include just about anything you can think of—you can even receive cash or honeymoon funds. Add what you want or need to your registry so your guests can have an easy time shopping for your gift! Just because you don’t need an item right now doesn’t mean you should omit it from your wedding registry. Take some time to think about what the future may hold for you two as a couple. Think you might want to start entertaining guests at your home? Planning to host family for the holidays? Setting up a wedding registry doesn’t mean you’ll have to immediately use all the items on your list. Go ahead, add that beautiful set of china or crystal wine glasses that you like so you won’t have to purchase them with your own money a few years down the line. This is the perfect opportunity to upgrade your old household items. You can also use your wedding registry to pick out items that you like as a new couple starting your lives together. Are you ready to start planning your big day? 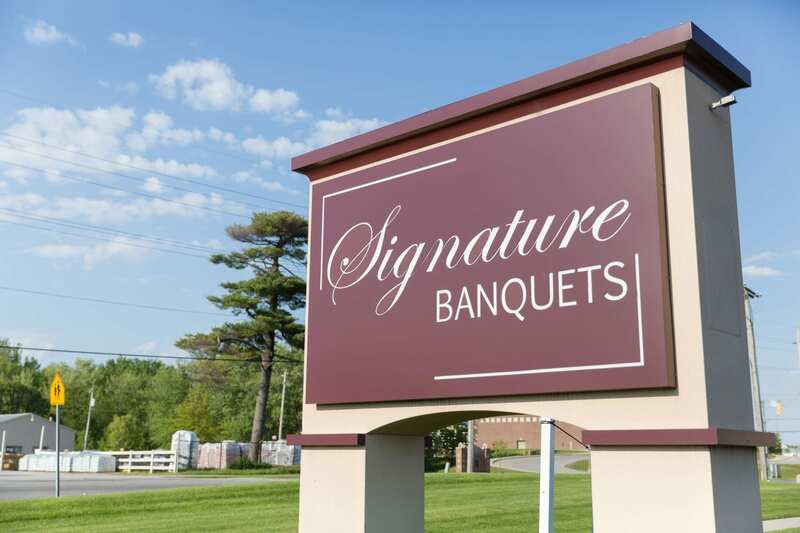 Contact Signature Banquets to speak with an experienced wedding planner in Northwest Indiana today!